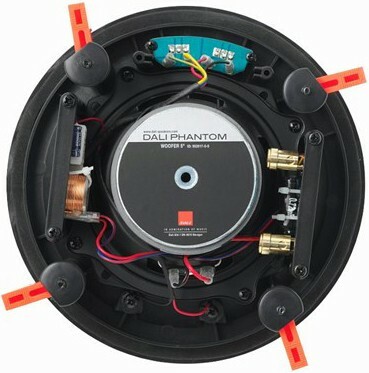 Dali Phantom E-50 in-ceiling speaker deliver clear and well-defined audio and the level of bass exceeds expecations for its size, perfect for a stereo setup in a small room or as the rear speakers of a surround system in a larger room. Earn 258 loyalty points when you order this item. 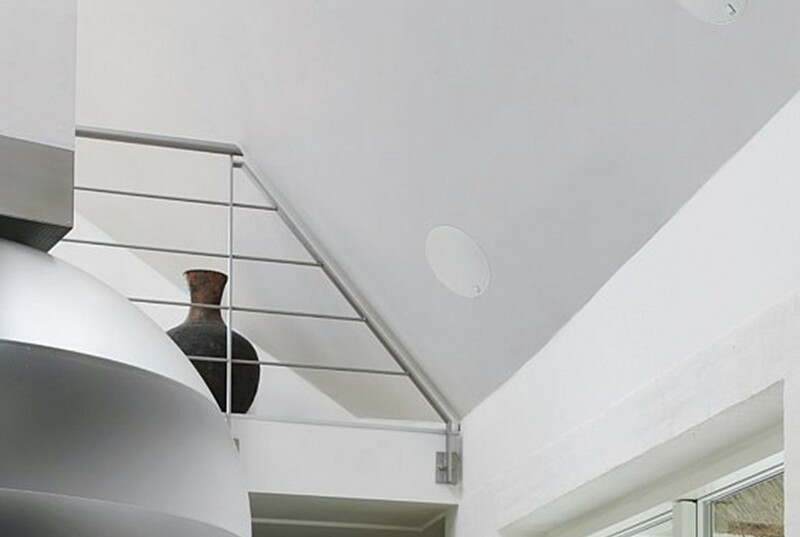 Dali Phantom E-50 compact in-ceiling speaker delivers an incredible clear and well-defined audio experience with impressive bass. 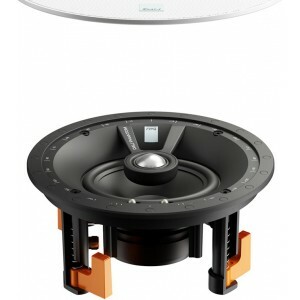 It is equipped with a 5.25" woofer and designed for optimum in-ceiling use, but can also be mounted in-wall. The size makes it . 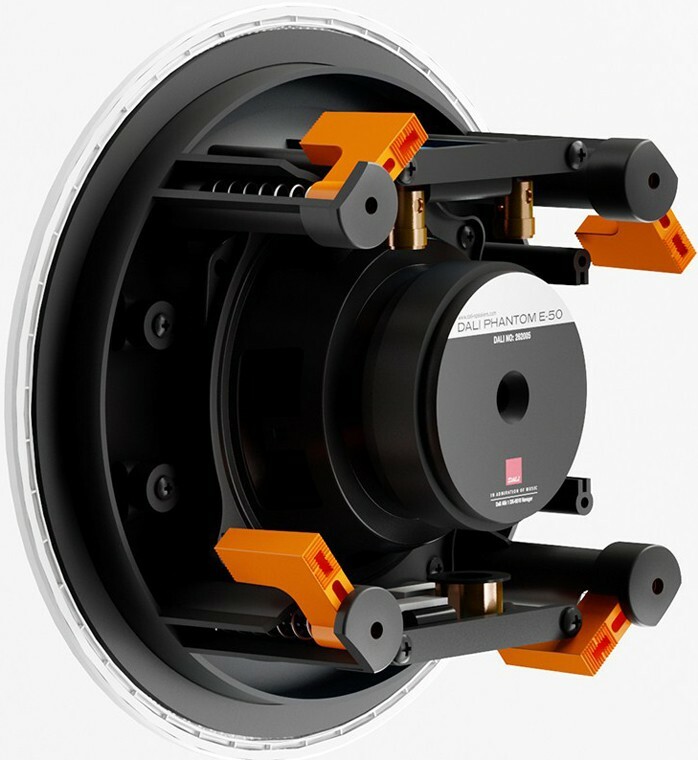 The Phantom E-50 introduces improvements to the basic design of the front baffle by adding extra thickness to the outer edges for a tighter and more secure fit against the mounting area. 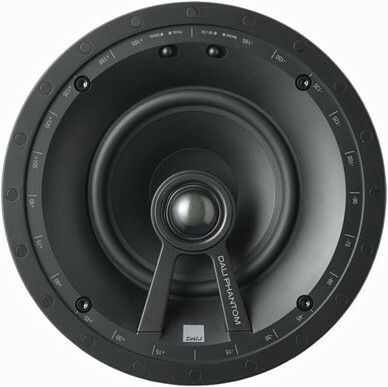 This also helps the overall strength and rigidity of the speaker. The Phantom E-50 front grilles have been updated to meet the style demands of the install customer. Every component in the crossover is carefully selected for their audiophile quality and the crossover in the Phantom E-50 is designed especially for this model. The Phantom E-50 includes PTC (Polymeric Positive Temperature Coefficient device) safety function. This safeguards the driver components from overheating if played at very loud volumes over a long period. 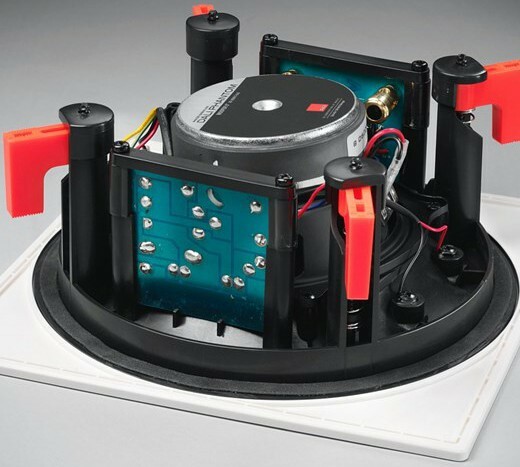 Install speakers are often played to fill more than just the room they are mounted in, so If the listener is in another room the volume can accidently be turned up to extremely high levels, and therefore permanently damage the speakers. The PTC system will prevent this for happening, since it acts like a fuse if the current get to high. 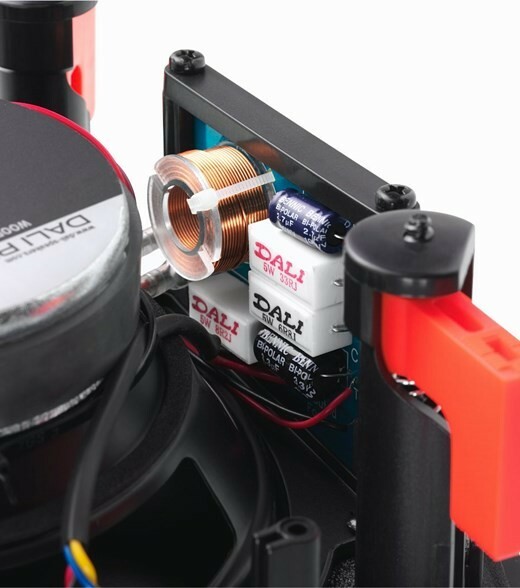 The aerodynamic design of the wing and the slightly of centre placement of the tweeter help eliminate the “coaxial colouration” normally associated with coaxial drivers. 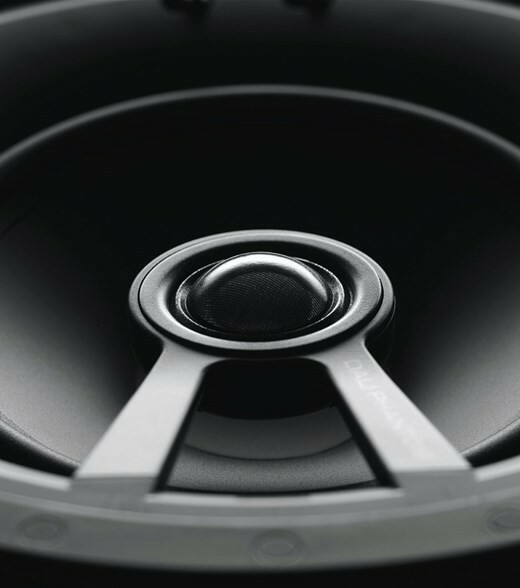 The positioning also help the mid-range and low frequencies blend gracefully with high frequencies for a precise and natural overall performance even at high sound pressures. 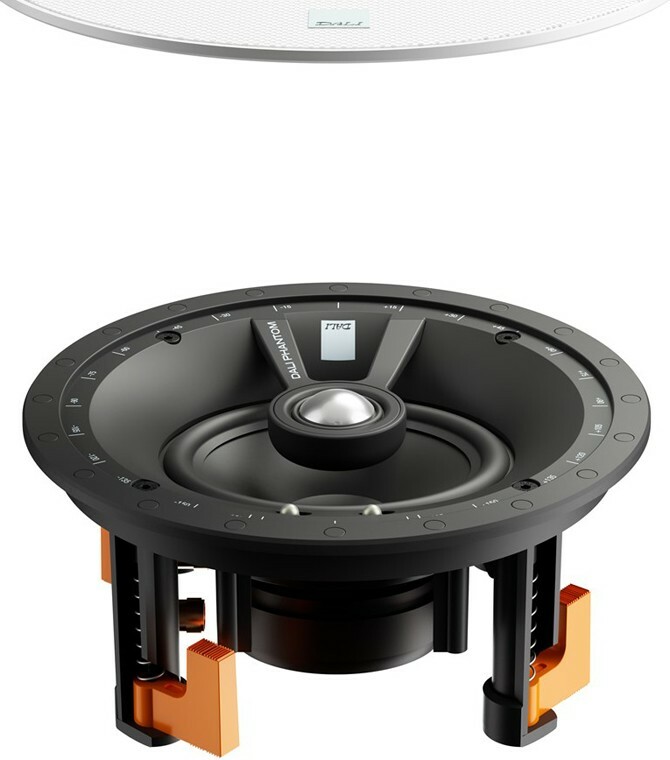 The compass rose on the outer edge help direct the speaker for optimum sound stage. The dogleg mounting system makes the install process an easy one-step action simply by tightening the dedicated screws to swing out the dogleg brackets. The invisible design means the very thin magnetic front grilles integrate almost seamlessly into any home environment.